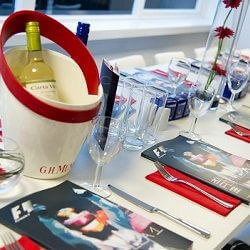 Cheer on the Brits with one of our outstanding Silverstone F1 hospitality packages. With recent upgrades to Silverstone GP hospitality sections, Edge Global can offer the most superlative service in race history. 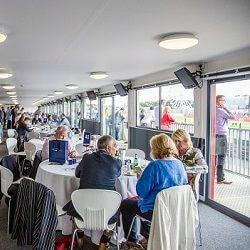 Dine on gourmet food from top chefs, drink fine wines from the complimentary bar, and have a special Q & A with VIP guests at the Silverstone Six suite. The views are spectacular and the weekend is not to be missed. 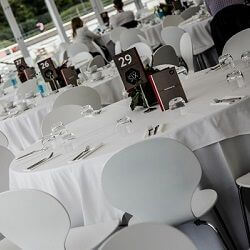 We make sure that British Formula 1 hospitality is envied the world over; go the extra mile with us this summer. Providing Silverstone Grand Prix hospitality over the years has also resulted in unparalleled access to many of the best local hotels and resorts. Join us with at the Silverstone Six Hospitality Village and indulge in the finest gourmet food …. The Brooklands Hospitality building puts you right in the heart of the action, offering a great…. The Woodcote suites are based next to the BRDC clubhouse. The suites offer exceptional view poi….